I think we'll see these two girly girl BFFs painting each other's toenails before too long. Cuties! I'm so in love with Louise's chin patch. I wish I could take her home with me. beautiful girls, but i'm SO curious as to who that interloper is! Is little Bernice fully healed up yet? They are just too cute for words!!! So sweet!! Very adorable! 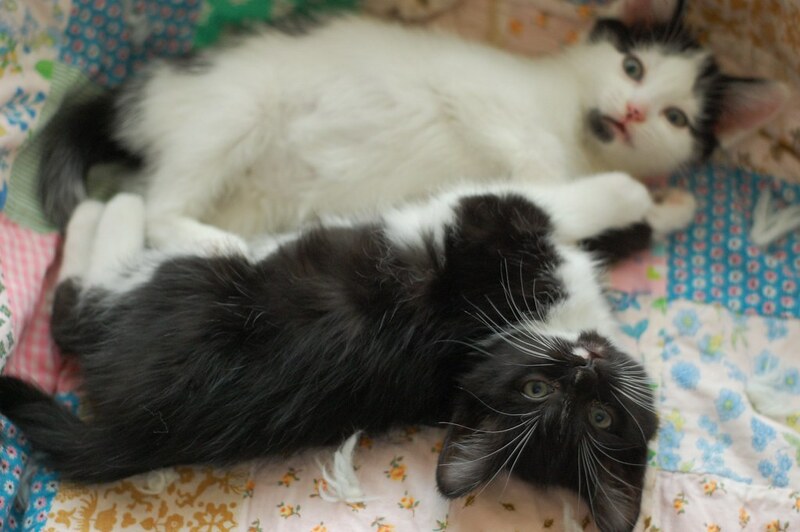 Bernice and Louise are a super-lovey pair of siblings. I too am curious who the interloper is. Such an adorable snub nose on the interloper. 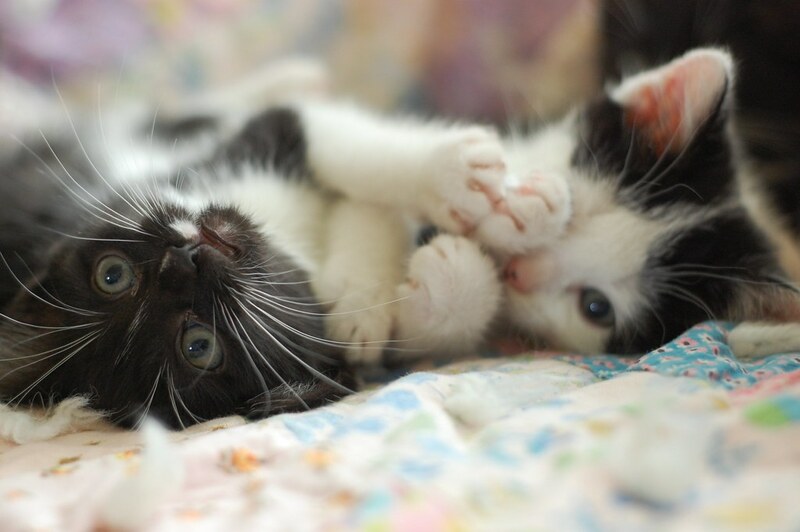 Kittens playing "pattycake game" in first photo. 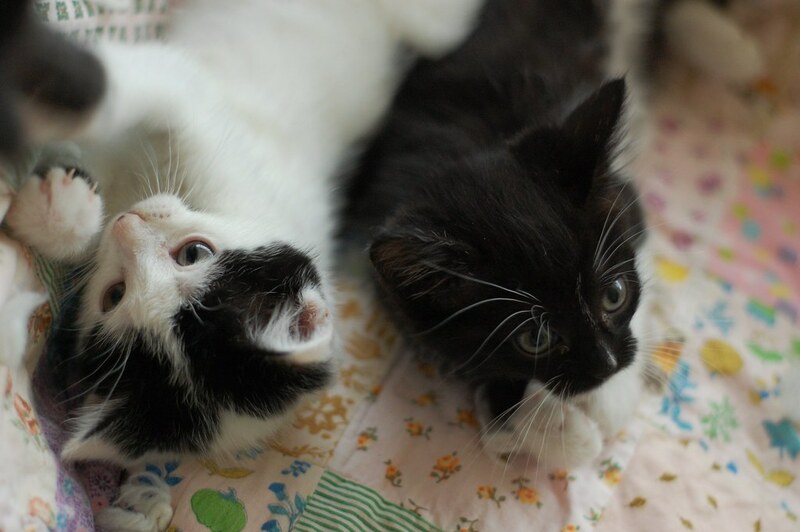 I too think they will be a pair..or need to be when they are adopted. Love the photos. Gosh darnit. 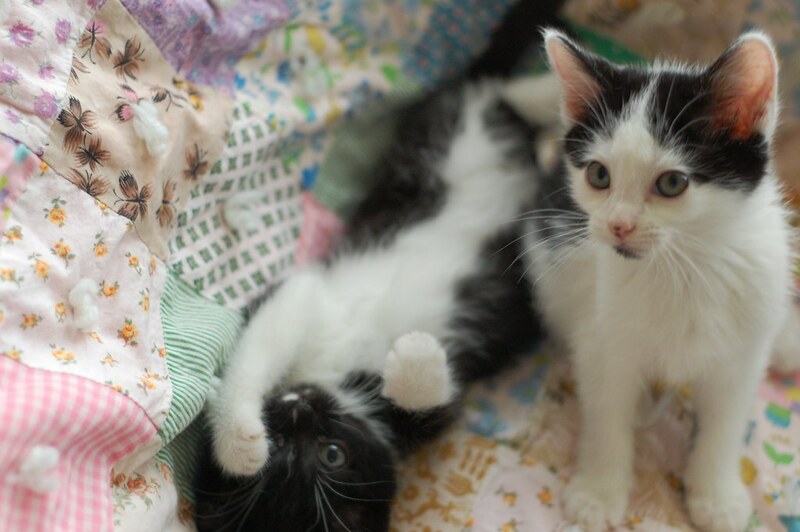 Maybe I should start looking at job possibilities in the SeaTac area so I can adopt a IBKC kitten. 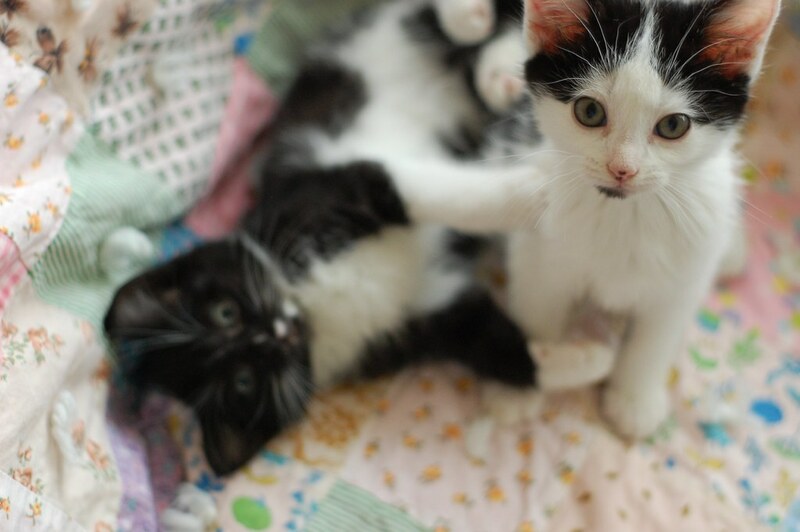 What a cutie pair of little girlie kitties. 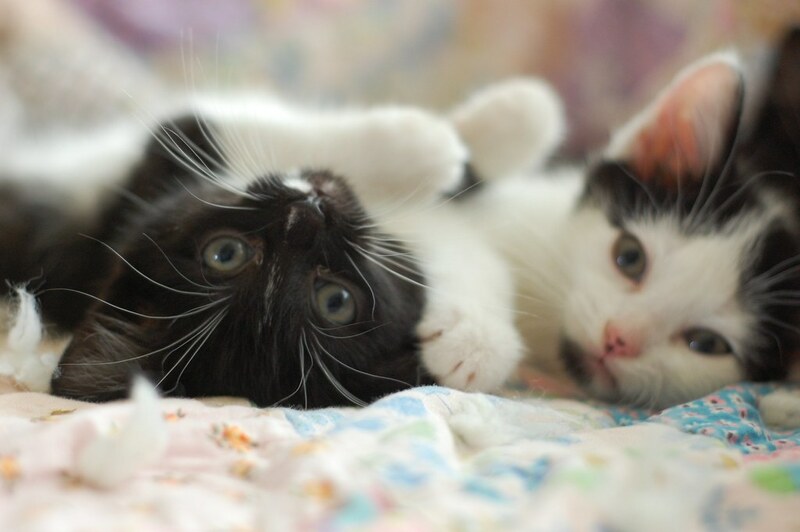 how is it that all kitt's get more and more beautiful in your care? it is truely fabulous. I forgot to say, I think the interloper is Emory. I love Bernice's poses in the first three photos. It's like she's channeling her inner Tallulah Bankhead. Lots of old-school Hollywood glamor in that kitten. Very pretty! Both of 'em! Darin - her lip healed up just fine. Of course the interloper is Ambrose--who else? Of course it was Ambrose! 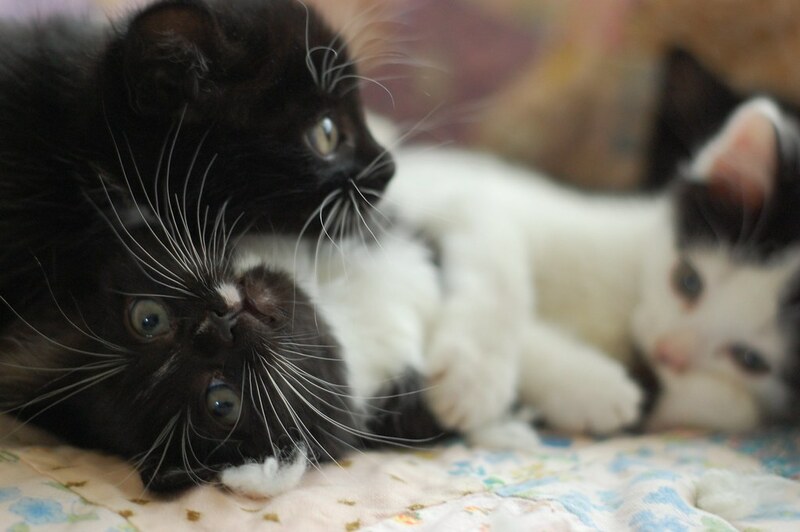 Gosh this is an awesome kitten family! And it get such a warm-fuzzy when I visit.